Wagaya is probably one of the first Japanese Restaurants I started going to regularly, it was the venue almost every year for my birthday because of good room hire. Favorite dish? Green Tea Latte! Unfortunately there isn’t a picture as these pictures were taken at a different event of mine and we had Sake instead (I didn’t get drunk – I think) 🙂 – It’s just the ice cream above but in a milkshake glass and filled with cold foamy milk, so creamy and delicious. 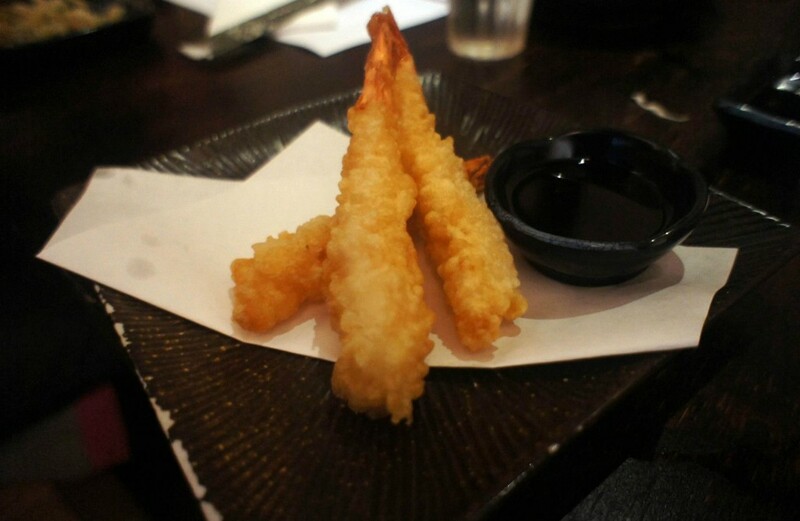 I have to admit that although they have no real stand out dishes they do provide a large variety of staple Japanese cuisine where nearly anybody can find a favorite dish. 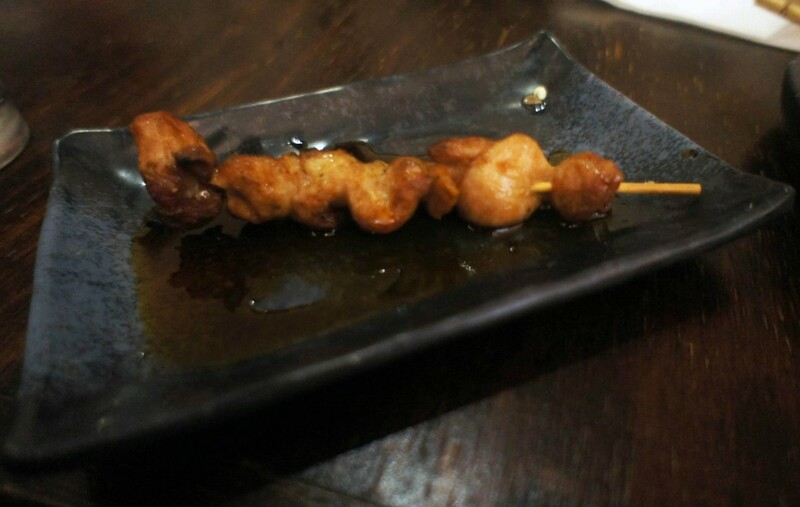 Chicken Yakitori is one example of the many meat on stick dishes they have available, it also comes with Wagyu (popular but not very authentic), pork and salmon. 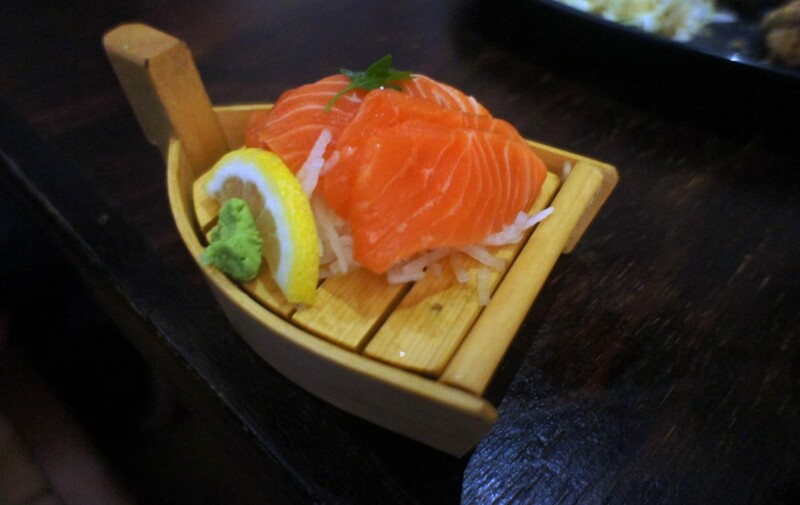 Miss K loves sashimi so I almost nearly always order salmon sashimi for her, Wagaya has very generous servings on the plate and the best part is that it’s always fresh and chilled. 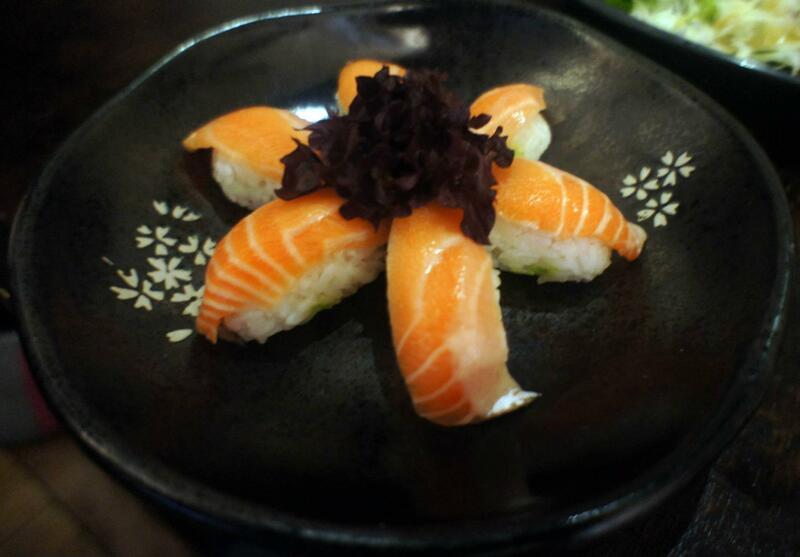 They have a large variety of different fish on order including tuna which is the second most popular. If I had to choose a stand-out dish this would probably be it, though the dish in itself is nothing special it’s the idea behind it that counts – most interesting party food at a restaurant I’ve seen. 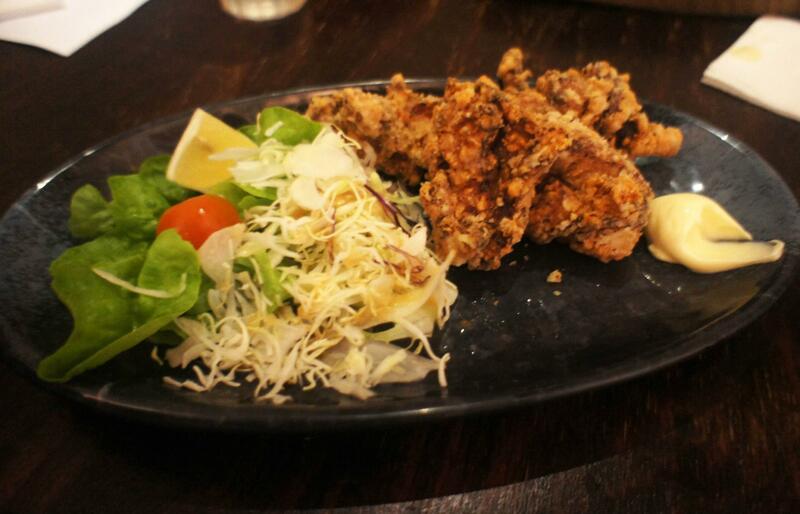 I love chicken karaage, its so unhealthy for me but I still order it 🙂 The best ones I’ve had are at Wagaya because the mayonnaise is perfect, I always love Jap mayo. 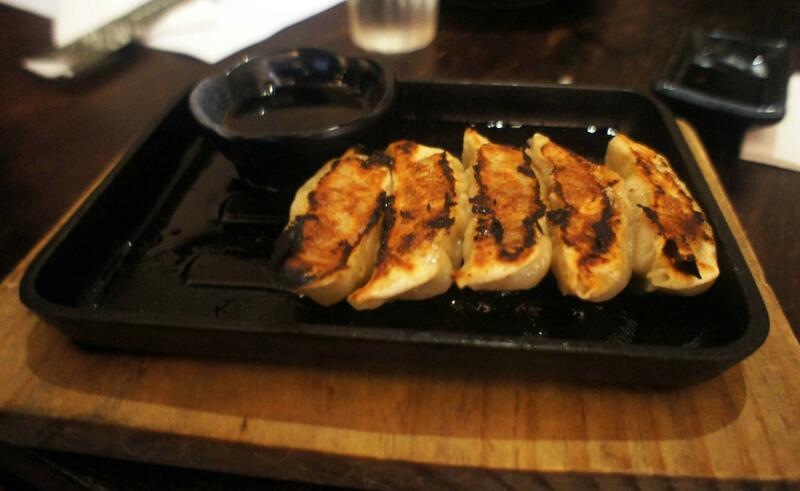 Plain old gyoza, not much to say to be honest but it tastes great and its very tender inside. 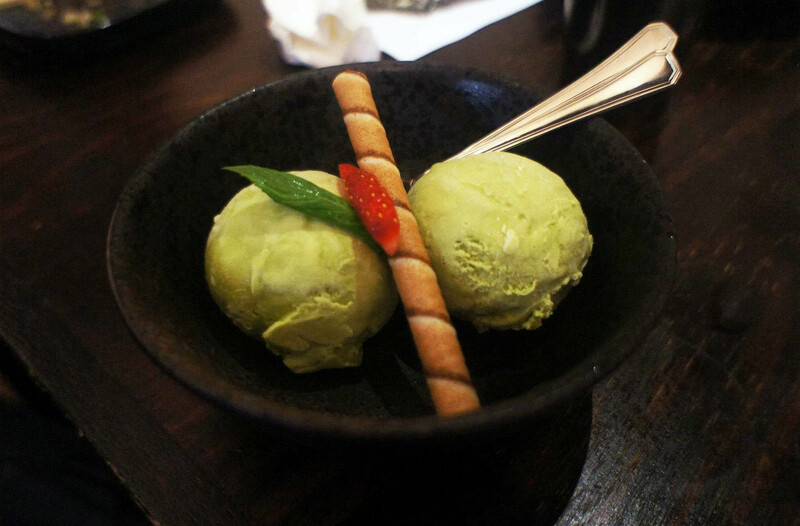 This is definitely a crowd pleaser when dining with groups. More deep fried stuff! Wagaya offers over 100 menu items (ordered by touch screen), this is what makes it great for parties and large groups, items range from salads, chips, pasta, sushi, deep fries and pizzas. If you haven’t been here before be sure to hurry up and book in advance, it gets extremely crowded on weekends. As an added bonus the prices are very reasonable at no more than $30pp.